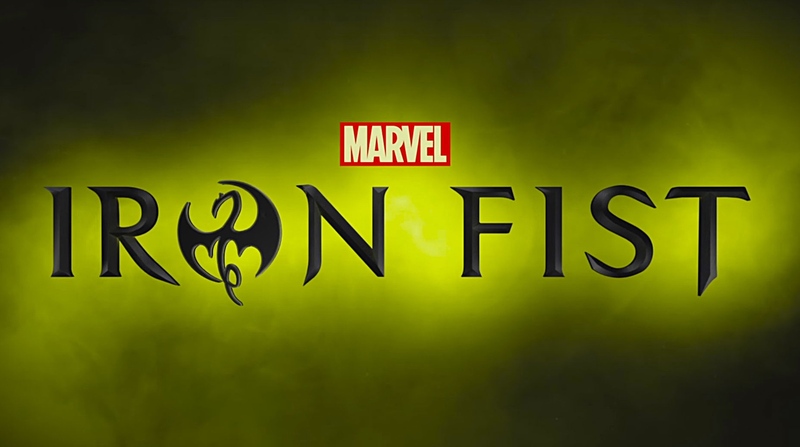 After watching the first six episodes a lot of critics were out on Netflix’s new series Iron Fist. The reviews haven’t been kind. While it’s hard to judge a whole show on just shy of half of its episodes, it’s important for a show to grab the audience from the start. Iron Fist doesn’t quite do that. While I made it through the whole thing, the start of the show was slow. The latter half is definitely better, but many people could find themselves giving up on the show before that happens. Normally, I don’t really like ranking things, but if I had to rank Marvel’s Netflix shows, this would come in last. The one through point for all of these shows is Claire Temple (Rosario Dawson), who is a joy to watch on the screen. In this, she gives some nods to the fellow street heroes, Daredevil and Luke Cage. Our link to Jessica Jones is Jeri Hogarth (Carrie Ann Moss). What Iron Fist does do well is give us some little easter eggs to enjoy. That said, Claire and Jeri are both strong women who can take over a scene the moment they enter it. It’s a good sign when the writers pay attention to the women characters in such a way. It’s used to their advantage, but doesn’t quite hide the flaws in Danny Rand (Finn Jones). There’s probably a laundry list of things that one could nitpick in this show, but that’s not quite my style. It wasn’t a great show, but in the end, it turned out to be an okay one. Is it worth roughly 13 hours of your time? That really depends on how much you care about Iron Fist as a character and if you are patient enough to sit through some tough episodes. The beginning consists of more board meetings than necessary and more time spent on trying to figure out if Danny is who he says he is. Or it seems that way, which is the problem. The special effects and the fight scenes are not too consistent, either. They’re rocky in the beginning and seem to smooth out as the episodes continue. However, I don’t think we’ll ever get another scene like the hallway fight scene in season one of Daredevil. Marvel just might have set expectation too high with that first season. Now, I’m not saying they should have made that season of Daredevil not as great a it was, but it just meant they needed to step up their game with the following shows and they didn’t do that with this one. With The Defenders coming up, it will be interesting to see if they fix some of the major downfalls of Danny Rand. For someone who was away for 15 years, it’s expected that he’ll need to re-adjust to being around people who aren’t training to be warriors, but it never feels like he gets there in this season. He feels the need to fix everything himself, not realizing he’s not the only one capable of either fighting or handling a situation. That finally brings us to Colleen Wing (Jessica Henwick) and her relationship with Danny. Colleen first meets Danny at a park when he’s homeless (and shoeless). He keeps coming around until she lets him stay at her dojo and things quickly go downhill from there and trouble is abundant. Colleen herself is another strong female character in the show, who also has some faults. However, her faults are detrimental to the story. Her fault is being human and believing that what she was taught was true and there’s no way it couldn’t be. She thinks Danny is the one who has been brainwashed, but in reality she was the one who was tricked the entire time. Her character is enjoyable and she seems to have some growth throughout the season. The Meachum family and Madame Gao are the other characters who play significant roles in the show. Gao remains as part of The Hand, which is the main storyline this season. Danny is dead set on destroying The Hand and she’s back to her drug pushing ways. Harold Meachum started Rand with Danny’s father and plays an interesting role that leads to a twist later in the season. Joy and Ward Meachum are the ones running Rand. Ward feels robotic and cold for a good majority of the season, whereas Joy is full of much more emotion than he is. It makes for an interesting sibling dynamic at times, but largely makes Ward unenjoyable as a character. One last thing to mention is K’un-Lun. It’s where Danny came back to New York from and during the season, some information is given about the place, but most of it revolves around Danny and his training. If you are interested in an Iron Fist story that might grab you more than this, I suggest reading Immortal Iron Fist by Ed Brubaker and Matt Fraction. Overall, this is by far not the best season of Netflix television that Marvel has released. It has plenty of flaws, but if you stick with it, you might find that some of them matter slightly less. The show does a much better job with the female characters and that is something that I think most would agree is a plus. It didn’t need more action to be a better story, it just needed to not drag as much as it did to start. Consistency is definitely key when it comes to these shows.